In this essay I will attempt to summarise and critically assess the article, Apocryphal Treatment for Conze’s Heart Problems, by Huifeng (2014). The article is long and complex. It deals with three philological problems in Conze's Sanskrit text of the Prajñāpāramitahṛdaya or Heart Sutra. Conze, himself, highlights these problems and Huifeng tackles them by using the method, suggested by Jan Nattier and Nobuyoshi Yamabe (Nattier 1992), of tracing the passages back to the Prajñāpāramitā source texts in Chinese and Sanskrit. Huifeng discovers that the person who translated the Heart Sutra from Chinese into Sanskrit misread the text. However, Huifeng leaves open the correct readings, which I will attempt to supply. I will also discuss the problems raised by this discovery (which, in many ways, parallels my own discoveries about this text) and I disagree with Huifeng on how to translate a key term. Huifeng's article concerns the passage (Sanskrit from Conze 1967; Chinese from T251). na jñānam, na prāptir na aprāptiḥ. Tasmāc chāriputra aprāptitvād bodhisattvo prajñāpāramitām āśritya viharaty acittāvaraṇaḥ. Cittāvaraṇanāstitvād atrastro viparyāsātikrānto niṣṭhanirvāṇa. I'll separate the three problems into two separate installments: this one will deal with the Conze's phrases na prāptir na-aprāptiḥ and aprāptitvād; the next will deal with the phrases containing the compound a-citta-varaṇa, which occurs twice in different grammatical forms. In the conclusions, we will see that this whole passage needs to be reinterpreted and retranslated. 404-600? Heart Sutra ur-text in Chinese from various sources including T223 or perhaps T1509. 7th C? 《般若波羅蜜多心經》 Prajñāpāramitā-hṛdaya-sūtra, T251 attrib. Xuánzàng. 9th C Transmission to Tibet of corrupt Heart Sutra ms. I understand the later Chinese Heart Sutras (T252-7) to be translations from Sanskrit texts, except T255, which is a translation from Tibetan. I take the two early short-text Heart Sutras (T250 and T251) to derive from the no-longer-extant Chinese ur-text. The Heart Sutra was mainly composed of passages from the Pañcaviṃśatisāhasrikā-prajñāpāramitā-sūtra (PPS), aka the 25,000 Line Prajñāpāramitā Text. See also my list of Chinese Heart sutra texts, with translators and dates. My focus is almost entirely on the relationship between the Sanskrit and Chinese short texts and when I refer to the "Chinese Heart Sutras" I mean only T250 and T251, unless otherwise specified. At some point, I hope that Ben Nourse will finish his study of approximately 300 short text manuscripts in Chinese and Tibetan found at Dunhuang, but until then I won't be considering them. The passage that concerns us initially begins "Therefore, Śāriputra, in emptiness..." (Tasmāc chāriputra śūnyatāyāṃ); negates the skandhas. etc/, and then concludes with "no wisdom, no attainment and no non-attainment" (na jñānam, na prāptir na-aprāptiḥ)(Conze 1975: 89). Here, the Sanskrit word prāpti means "attainment". It is an action noun from the verb prāpṇoti (pra√āp) which means "to attain, to reach, arrive at". It would seem that the double negative na-aprāptiḥ in the current passage falls into the same category, though, curiously, the editor has not included na ajñānaṃ. 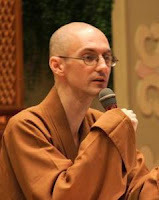 It is contradictory to state, as Conze's Heart Sutra appears to, that there is "no nonattainment" (na-aprāpti) and then in the next sentence say that it is precisely "because of being in a state of non-attainment" (a-prāpti-tvād) that bodhisatvas get enlightened. The Chinese Heart Sutras lack any equivalent of nāprāpti. Since Conze includes the this phrase, he has to resort to convoluted explanations for the apparent contradiction, which are not very convincing. Thus, we can treat na aprāpti as an interpolation and a clumsy one at that. The phrase na jñānaṃ na prāpti is found in the section of PPS that is quoted in the Heart Sutra. However, the original passage lists na prāptir nābhisamayo; i.e., "no attainment, no realisation" and then continues on listing types of attainment, from stream-entrant up to Buddhahood. At least one Heart Sutra manuscript also has na prāptir na abhisamaya, e.g., Cb aka T256 (a Sanskrit text transliterated using Chinese characters). I'll return to this when considering the Chinese texts. Conze's next sentence begins tasmāc Chāriputra aprāptitvād bodhisattvasya..., which he translates as "Therefore, O Śāriputra, it is because of his non-attainment-ness that a bodhisattva...", which is one of the more egregious examples of his Buddhist Hybrid English. We need to be aware of how Sanskrit uses abstract nouns (indicated by the suffix -tvā). It can be very like English, in which case the suffix -ness can work well. However, the abstract can also represent the idea of being in a particular state. Coulson's discussion of abstract nouns is instructive: "English noun clauses ('that the grass is green') and noun phrases with a verbal component such as an infinitive ('for the grass to be green') tend to be replaced in Sanskrit by a straight abstract noun ('the greenness of the grass')" (2003: 130-1). And thus in translation we sometimes have to produce a noun clause and noun phrase to translate a Sanskrit abstract noun. Conze is surely correct to interpret aprāptitvād as an ablative of cause ("because"), but the abstract noun can't really be forced into a single word here. The compound must mean something like, "because of being in a state of non-attainment". As PPS explains repeatedly, if a bodhisatva were to think "I am a bodhisatva", or "I have an attainment", then they would not be a bodhisatva. I believe that this kind of talk relates to what in Pāḷi is called suññatāvihāra or "dwelling in emptiness", something the Buddha was said to do frequently. This involves cultivating the formless (arūpa) meditations and sustaining the samādhi in which one experiences nothing at all (śūnyatāsamādhi), i.e., one is alert, but without any sense of being a subject observing an object. Having described and tidied up the Sanskrit Heart Sutra passages, we now turn to the Chinese texts and begin to unpick the Sanskrit translation and, of course, any English translations based on it. There is a problem throughout the Chinese Canon because translators, especially Kumārajīva, have "flattened" the lexicon by using the same character to translate multiple words. This means that there can be considerable ambiguity when looking at a Chinese text as to what Indic word was being translated. So, for example, Huifeng notes that the character 得 has been used to translate √bhū, prāpta/prāpti, √budh, √labh, and other terms (81). All modern editions punctuate, and translate, as two sentences (see below). Here, 無智 would appear to correspond to na jñānam, and 無得 to na prāpti. However, because the Gilgit ms. of PPS has na prāptir nābhisdamayo at this point, Huifeng would like to read 智 as abhisamaya (85). This would also mean that the order of the two negated terms had been switched. With the inherent ambiguity of the Chinese translations, this is plausible. My view is that the Gilgit PPS ought to be treated as authoritative when it comes to the correct Sanskrit of quoted passages. The phrase 以無所得故 presents us with some difficulties. The verb is again 得. Huifeng points out that the character combination 以 ... 故 usually stands for a Sanskrit instrumental (2014: 80). However, note that Kieschnick & Wiles (2016) say of this same structure: "故 often works together with 以, meaning “for this reason”, “because”" (39), i.e., it can be consistent with an ablative of cause, which also fits this context. Huifeng also notes that 故 "...when alone after a verbal form is usually grammatically equivalent to a Sanskrit ablative form" (81). For Huifeng 所 before a verb indicates a past participle. Kieschnick & Wiles (2016) explain that "when placed before a verb or verb phrase, 所 turns it into a noun." When he compares the use of this Chinese phrase he finds: "examination of other examples reveals that the majority of the appearances of the Chinese phrase “以無所得故” (yĭ wú sŭodé gù) directly corresponds to the Sanskrit an-upa√lambha-yogena" (88). The phrase frequent appears appended to sentences describing practices, and means "by being engaged in non-apprehension". Despite meaning prāpti in the immediately preceding phrase, here 得 appears to equate to a Sanskrit verb upa√labh "obtain; perceive, behold". Edgerton's Buddhist Hybrid Sanskrit Dictionary lists anupalambha as meaning "inconceivability, inconceivable", particularly in relevant phrases such as śūnyatānupalambheṣu dharmeṣu "in regard to states of being which because of voidness are inconceivable". However, s.v. upalambha; Edgerton defines upalambhayogena as "by the (erroneous) method of upalambha"; and the latter means "mental perception or apperception, realization by the intellect (c.f. Tibetan dmigs-pa). This supports reading anupalambhanayogena as "by the method of non-perception". Thus Huifeng argues that, in the phrase 以無所得故 the verb 得 has to be read differently from its use in the previous 無得. He points out that, in any case, denying attainment is inconsistent with the passage in which the bodhisatva attains nirvāṇa (niṣṭhanirvāṇaprāptaḥ). Though note that I have already showed that niṣṭhanirvāṇa is probably another mistake and that what was intended by the Chinese phrase 究竟涅槃 was more likely to be nirvāṇa-paryavasānam ("whose culmination is extinction"). Having said that 所 indicates a past participle, which would be upalabdha or upalabdhita, Huifeng does not note any such forms but, instead, finds forms such as upalambha (action noun) or upalabhamāna (present participle). So here 所得 probably stands for the noun derived from the verb upalambha, and 無所得 for anupalambha; and thus we expect 以–無所得–故 to translate anupalambhena (instrumental) or anupalambhāt (ablative). Apparently, the yoga was simply left out. But this is not uncommon in Chinese translations. ... no wisdom and no attainment, due to engagement in non-apprehension. "It is our view that this shifts emphasis from an ontological negation of classical lists, i.e., 'there is no X', to an epistemological stance. That is, when the bodhisattva is 'in emptiness', i.e., in the contemplative meditation of the emptiness of phenomena, he is 'engaged in the non-apprehension' of these phenomena" (2014: 103). This view is consistent with my own reading of the Prajñāpāramitā literature as continuing an epistemological stance found in the Pāḷi suttas and described in detail by Sue Hamilton (2000). The main focus of early Buddhism is experience. Similarly, the Prajñāpāramitā literature is focussed on the experience of states which are characterised as "empty"; i.e., states in which there is no sense of being a subject observing an object, and no arising and passing away of experience. In this altered state there is just alertness and no content. It is cultivating this state that is the summum bonum of Buddhist practice. I suspect that, in the Prajñāpāramitā texts, the character of Subhuti represents this point of view, while Śakra and Śāriputra represent other points of view; most likely dhyānic meditation and abhidharma-style analysis. The problem here, however, is that Huifeng appears to overlooked another kind of boundary in the text. In fact, 無智亦無得 is the end of the quotation from PPS and 以無所得故 is part of the text composed in China. There is no reason to think that the non-quoted parts of the Heart Sutra were composed by Kumārajīva and thus no a priori reason to think that they will conform to Kumārajīva's idiom. Importantly, because of this transition from quotation to composition there is no necessity to read 得 as being from two different verbs, which, after all, is a rather startling ambiguity. Just as the translator has read 以無所得故 as aprāptitvād, so might we. Notably it is not used in Dharmarakṣa's Prajñāpāramitā translations. In Kumārajīva's translations we find the phrase multiple times: T223 26; T250 1; T307 1; T586 1; T1509 35. All the rest of the occurrences are in versions of the Heart Sutra or commentaries on it, and thus can be thought of as copying the Chinese Heart Sutra; or they are from later translators. Thus, the phrase, though first used by Dharmarakṣa, is quite distinctive of Kumārajīva's PPS and his translation of the Upadeśa or commentary on the PPS attributed to Nāgārjuna. This suggests that the composer of the Heart Sutra was familiar with Kumārajīva's idiom! And just to make matters more complex, we know from ample attestation, that Kumārajīva—a native of Kucha who was taken to Changan as a captive late in life—was probably never fluent in Chinese and his "translations" were probably all the result of collaboration with Chinese monks who produced the actual translations based on his lectures about the texts (Daňková 2006). In other words, "Kumārajīva" is a cipher for a process in which he provided the intellectual understanding, but not the actual Chinese expressions that bear his name. The upshot of this is that we cannot be sure whether to read 以無所得故 as aprāptitvād or as anupalambhayogena. It also makes me wonder what else can be discovered by comparing other phrases with Kumārajīva's translations. For the purposes of this essay I will follow Huifeng's lead in my conclusions, but more work is required to establish the relation of the composed parts of the text to the quoted parts. I would further quibble with Huifeng's translation of anupalambha as "non-apprehension" and replace it with "non-perception". The meaning of the term is the same, but I think it more clearly conveys the epistemological stance of the text. Apprehension is a metaphor quite at home in this context; however, it implies that something is there to be apprehended which is not apprehended, whereas, in the state of emptiness there is nothing to apprehend. I think non-perception conveys this better. tasmāc [chāriputra] śūnyatāyām na rūpa ... etc ... na prāptir na abhibhasamayo anupalambhayogena. Therefore, Śāriputra, in [the state of] emptiness, due to being engaged in [the practice of] non-perception [of objects], there is no form... etc... no attainment, and no realisation. Note that in some of his the first Sanskrit edition (1948) Conze follows aprāptitvād with bodhisattvasya, i.e., bodhisatva in the genitive singular case. This was a mistake that was corrected in the 1967 edition, to bodhisattvo, i.e., the nominative singular. Unfortunately, the second edition of Buddhist Wisdom Books (1975), originally published in 1958 using the 1948 text, doesn't include the correction. This change was not picked up by Kazuaki Tanahashi in his recent Heart Sutra Book (2014: 181). In the next instalment I will look at Huifeng's treatment of the compounds acittavaraṇaḥ cittavaraṇa-nāstitvād /心無罣礙 無罣礙故. All Chinese texts from CBETA. All Sanskrit texts from Gretil. Except Heart Sutra from Conze (1967). Conze, Edward (1948) Text, Sources, and Bibliography of the Prajñāpāramitā-hṛdaya. Journal of the Royal Asiatic Society, April 80(1-2): 33-51. Conze, Edward. (1967) The Prajñāpāramitā-Hṛdaya Sūtra in Thirty Years of Buddhist Studies: Selected Essays, Bruno Cassirer, pp. 147-167. Modified version of Conze (1948). Conze, Edward. (1975) Buddhist Wisdom Books: The Diamond Sutra and the Heart Sutra. George Allen & Unwin. First Ed. 1957. Coulson, M. (2003) Teach Yourself Sanskrit. teach Yourself Books. Daňková, Zuzana. (2006) Kumarajiva the Translator His Place in the History of Translating Buddhist Scriptures into Chinese. Diplomová práce. Ústav Dálného Východu Filozofická fakulta Univerzita Karlova v Praze. Nattier, Jan. (2003). A Few Good Men: The Bodhisattva Path according to The INquiry of Ugra (Ugraparipṛcchā). University of Hawai'i Press.